Leather Works is the first in a series of mods designed to overhaul and expand on the various crafting areas in Minecraft. It's designed to be a middle ground between semi-realism and simplicity and to blend in to Vanilla Minecraft nicely. There are many pictures and a complete recipe guide in the images section. Specific numbers can be found in the technical section at the bottom. First you're going to need some hides. Go kill an animal with your murder weapon of choice. After you have some hides, the next thing you're going to need is flint. Craft flint with the raw hide to get prepared hides. Next you're going to need some tannins. Tannins are currently found in tree bark. Shift hold right click on a log with flint to scrape some bark off. This has a random chance per tick. Now shapeless craft bark of the same type to get a ball of tannins. Craft a Drying rack (3 wood slabs in a line) and dry your soaked hides. After a bit of time you will get leather...unless it rots! "Now I have leather...again....why did I go through the trouble?" Most people don't use leather armor because the tech jump to iron is usually a matter of minutes. Since I plan to change that in another mod, I offer you repairable leather armor! When your armor would normally break, it will instead become tattered leather armor. When it does this, if you have enchantments, they will be carried over but there's a chance they could reduce a level or disappear if it's a level 1 enchant. Tattered leather armor provides no protection. To repair your armor, all you need to do is craft a leather repair kit, (1 string, 1 leather) with the tattered armor and it will repair some durability. Leather Sheets: An alternating 2x2 of leather and string will create a leather sheet. This is for use in some larger leather recipes. You know what a pack does. These packs are smaller than some other mods and cost more. They're meant to be simple and with no frills. Trunks are crafted like chests but with leather sheets. 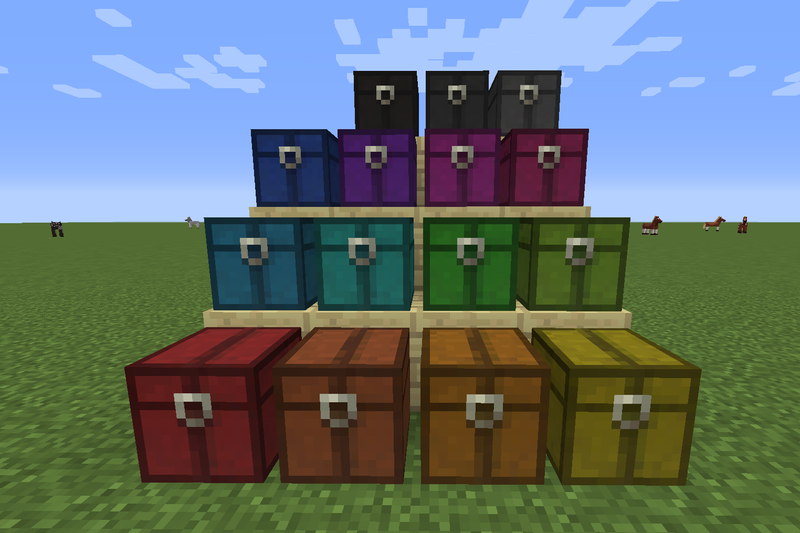 They are an easy way to color-code your storage and unlike chests, they don't mind being next to each other. I plan to have a very detailed config file, so please tell me if you'd like something to be configurable! •Barrels will take all fillWithRain() ticks to increment water level. •You can wash leather armor, worn leather armor, and packs in a water barrel. •Polar bears and pigs drop 0-2 hide without fortune. Wolves drop 0-1. 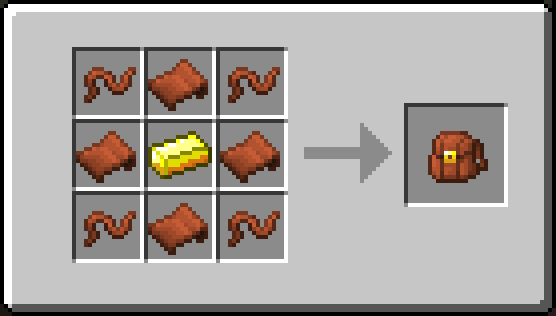 •Leather Works replaces all leather drops from the entities it supports, so mods that increase leather drop rates will increase hide drop rates. •When leather armor wears, it has has a 1/3 chance of reducing enchantments by 1 level, on each enchantment. Level 1 enchants are removed at the same chance. •Drying leather has a 5% chance of failing and returning rotten flesh. •2 Oak or Spruce bark makes 2 tannin balls, 1 Acacia or Dark oak makes 2, 4 birch or 3 Jungle bark make 2 as well. Elucent for allowing me the use of his bark item textures. Could Inspiration support ever be a thing for the barrels? I can't find that mod. Can you link it and explain what you'd like for support? Brewing, no. 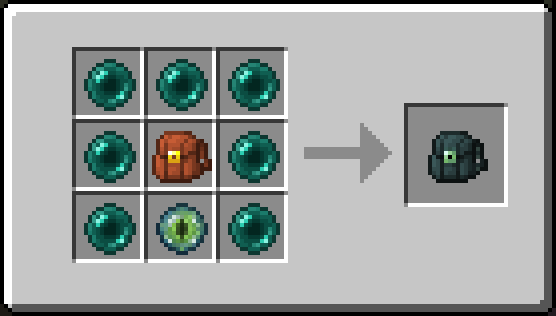 But my textiles mod will also use barrels and allow fluid dying. BOP doesn't implement trees like everyone else so it's actually kinda difficult, but it IS on the list. This mod is brilliant! It should really be in more modpacks. I'm really excited for this mod! 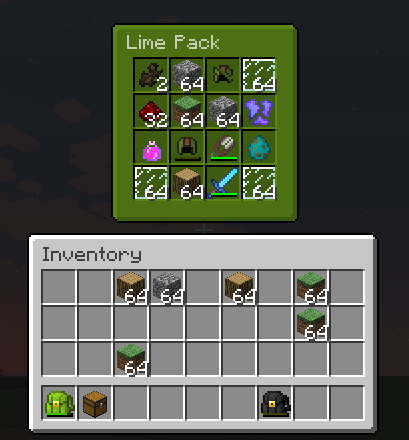 I love the packs, and have been looking for a mod that adds simple, costly, and vanilla-looking inventory extensions. The steps required for leather-working take a bit to get used to, but I'm excited to see integration with future mods. Keep up the great work! Leather Works barrels are causing me trouble with my mod-pack because they don't seem to accept fluid from anything other than vanilla buckets. I've tried both Wooden Buckets and Clay Buckets. since neither of these mods worked, i'm assuming it's a problem with the way this mod handles fluids.. Let me know what you think! If there was an option to disable debarking, that'd be splendid. 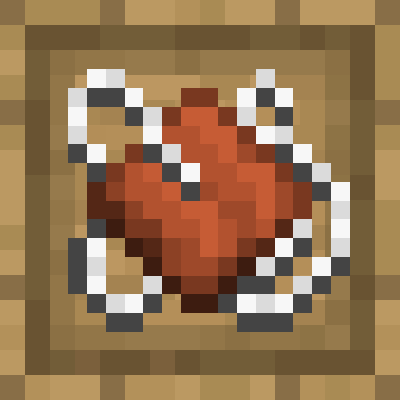 I absolutely love the other leather related features on here, but I am using better with mods which also contains a debarking feature and clashes with this as a result. ^^ I wish you could add artificial leather and the chance to cut this also into smaller (rabbit hide) parts.